It is undoubtful that there are tech related news we may not have covered in the past. This happened because we were not aware of them in due time and have to get our hands busy with fresh contents while withholding the later. 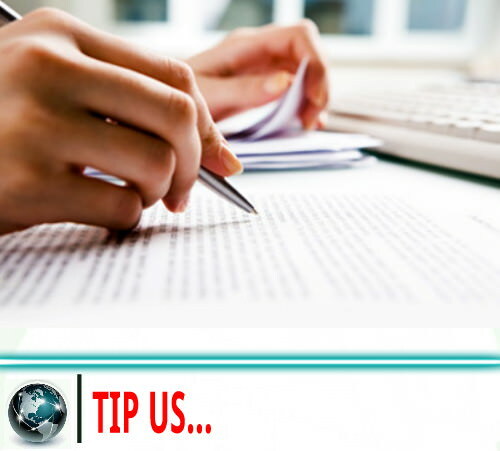 It is somehow difficult for a small body like us to track all news and at the same time publish it for the enjoyment of you our readers, and that is why we are introducing a "Tip Us" page where you can directly contact us and suggest us any topic that may have passed through us. ......and other tech related fields. Credit will be given, that we can assure you. Please note that advert-like articles, biase news, and unrelated contents will not be accepted. For sponsored post/article, contact us directly. It is all for the greater good, for you, for us and for everyone. Thank you.